The quality of the bulbs you buy will be reflected the the resulting blooms. This is a guide about tips for buying flower bulbs. Bulbs are containers. Each of them houses all of the necessary ingredients (except water) to grow a beautiful flower. It should come as no surprise then, that the quality of the flower you end up with depends a lot on the quality of the bulb you start with. Here are some things to keep in mind the next time you shop for bulbs. There is a direct correlation between bulb size and flower size. This is because large bulbs contain larger food reserves, which in turn, produce larger flowers (or more of them). Always select the largest bulbs of the variety you're planting. A good bulb will look large and plump. You should not see mold, scars, cuts, soft spots, or blemishes anywhere on the surface. The brown paper covering (called the tunic) should be intact, although it's fine if it shows signs of cracking, gaping, or flaking. Avoid bulbs that are discolored, or those showing active growth from the roots or neck (a short green tip shoot at the neck is okay). Bulbs should never appear shrunken or dried out, unless you are shopping for ranunculus or anemone, which always look like they are withered up. A good quality bulb feels firm to the touch. When you poke the base with your index finger, it should feel solid and free of soft spots. When you pick it up, it should feel heavy for its size. Rhizomes, corms, and tubers are all bulbous types of plants. Many times, they are all loosely grouped together as bulbs. Whether you are shopping for true bulbs, rhizomes, tubers, or corms, the buying tips are all the same. Large bulbs come with a higher price tag, so if you're planning to do a large planting, medium grade bulbs may be your best option. You should still get a moderate display of flowers, but stepping down to a slightly smaller bulb can save you a lot of money if you're buying large quantities of bulbs. 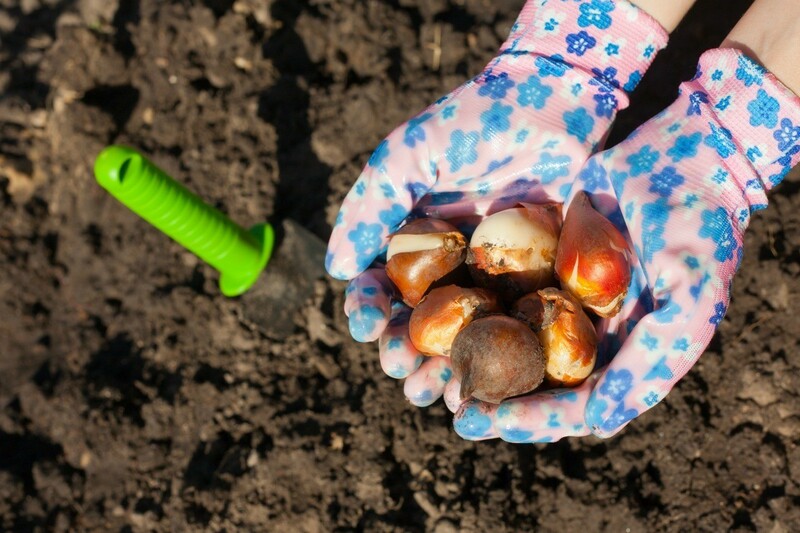 In general, shop early for the best selection and be prepared to plant your bulbs as soon as possible. Above all, do your research. Know the conditions required to grow what you're buying. Buying Loose Bulbs: These can be cheaper than prepackaged bulbs, and you have the advantage of inspecting them individually. Buy these bulbs early, and only after careful inspection. They often get manhandled by other shoppers. Buying Prepacks: When buying spring bulbs like crocus, tulip, or daffodil, prepackaged bulbs are a good buy. These bulbs may not have been roughed up as much by shoppers, but then again, you cannot always see what you are buying. They also tend to sit on the shelf the longest, which can lead to premature growth or deterioration from being stored at room temperature. Most bulbs sold this way now come in transparent plastic pouches, just be sure the pouches are equipped with ventilation holes. Buying Collections: Prepackaged collections are the most economical way to get a variety of similar type bulbs, without having to order them individually. On the downside, you have no choice but to accept whatever types of bulbs are being offered in any given collection. Bulbs can be purchased in a number places: nurseries, garden centers, home improvement stores, grocery stores, or through mail order catalogs. No one place is necessarily better than another, as long as you know that there are advantages and disadvantages to each. How bulbs are sold: often loose in bins, and may be available for purchase individually, or in specific quantities for a set price. 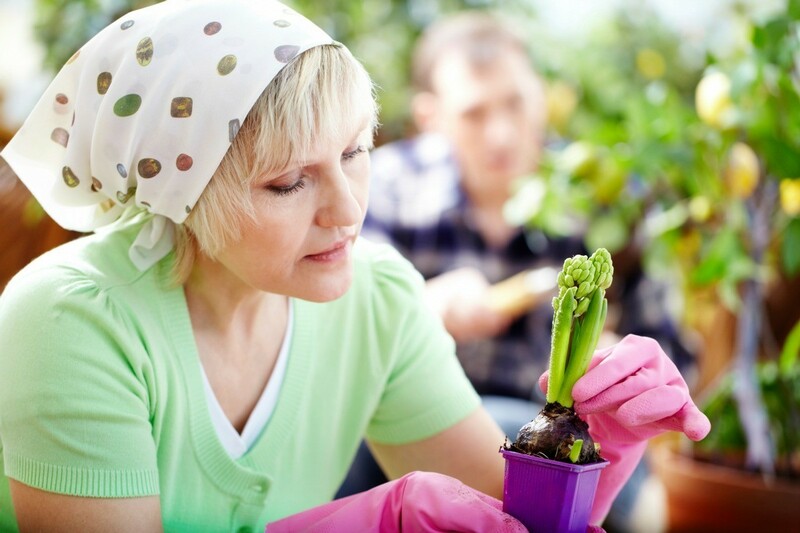 Knowledgeable gardeners are available to answer your questions. You can carefully inspect each bulb before purchasing. Bulbs can be purchased in the exact quantities you need. Bulbs sold loose are usually less expensive than pre-packaged bulbs. 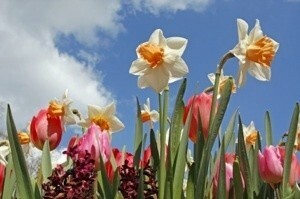 The bulbs sold are proven winners and hardy to your growing zone. Bulbs can become damaged due to being handled by multiple shoppers. Different colored bulbs may get mixed together accidentally in the same bin, making it difficult to know for certain if you're getting the color (or even the variety) you want. Bulbs do not always come with growing instructions. 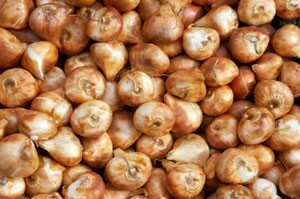 How bulbs are sold: usually in prepackaged cartons or net bags; occasionally loose in bins. Bulbs sold here are typically less expensive. Prepackaged bulbs are spared handling by multiple shoppers. Growing and planting instructions are usually included. The convenience of one-stop shopping if you have other items on your list. Staff is unlikely to be qualified to answer your questions or offer you advice. Prepackaged bulbs may not contain the number of bulbs you need. You can't always be sure the bulbs sold are hardy to your zone. There are usually less varieties to choose from. Inspecting the bulbs for quality isn't always possible. Less expensive bulbs sometimes means lower quality. How bulbs are sold: presented through images and descriptions in catalogs or online. They may be offered individually or in pre-set quantities. Many also offer bulbs in mixtures, which usually contain several different varieties mixed together (these are packed together and not individually labeled), or in collections, which contain packs of different bulbs of a similar type (usually separated and labeled according to color or type. The convenience of shopping from home. Most companies offering catalogs also have websites. The ability to shop for and purchase bulbs early to get the best selection. A better selection of bulbs, including rare or unusual varieties. The ability to try varieties that may not be available for purchase locally. Illustrations and descriptions that allow you to window shop before you buy. Bulbs must be purchased sight unseen. Illustrations and descriptions may "oversell" the final product. If problems arise customer service response time may be slower. Suppliers choice means colors and varieties sold as mixtures may be unpredictable. Bulbs may be higher in price due to the cost of shipping. Unexpected delays in shipping are out of your control. One way to save money on bulbs is to check the discounted items at your local garden center or nursery. Many bulbs can be planted throughout the year, even if it is too late for them to bloom the first year. This is a guide about saving money on bulbs.